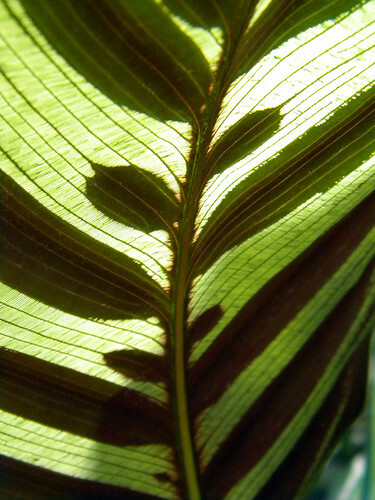 Back-lit Peacock Plant leaf. 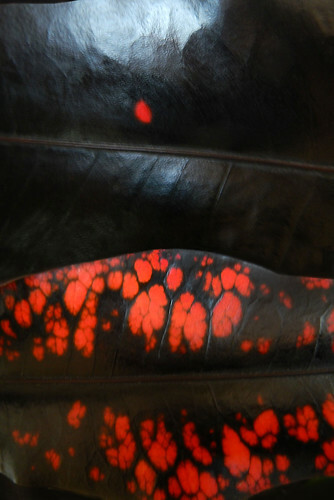 Croton leaves in dark green spotted with cerise. Tropical Philodendron leaves, one of my favourite photos from 2017. 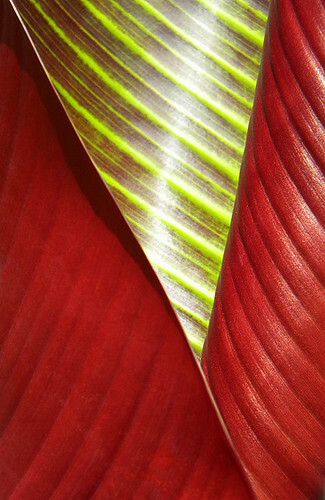 Banana leaves with red undersides. 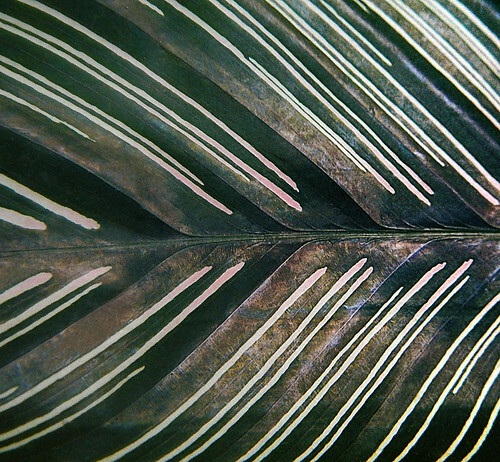 Striped leaf of the Calathea ornata plant. 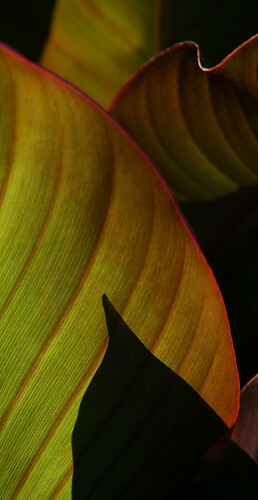 The striking leaves of the Canna Lily. 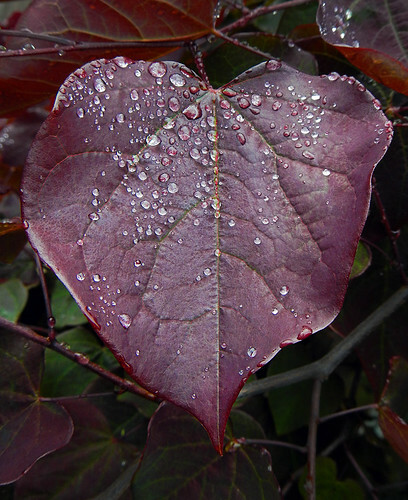 Raindrop-studded jewel-tone leaves. 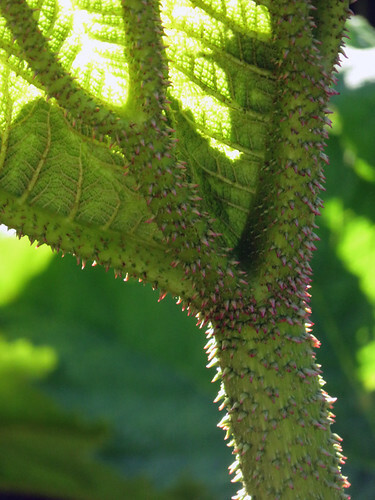 The prickly underside of a six-foot leaf of the giant rhubarb, Gunnera manicata. 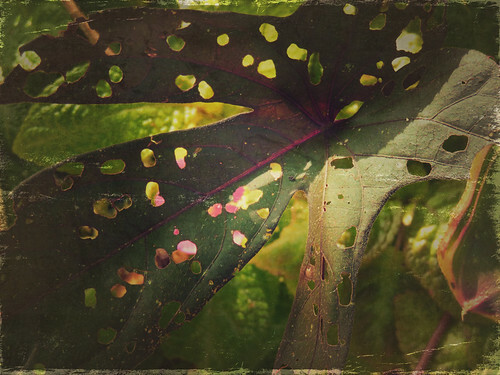 A chewed leaf in the Puerto Vallarta Botanical Garden, run through the photo app Stackables. 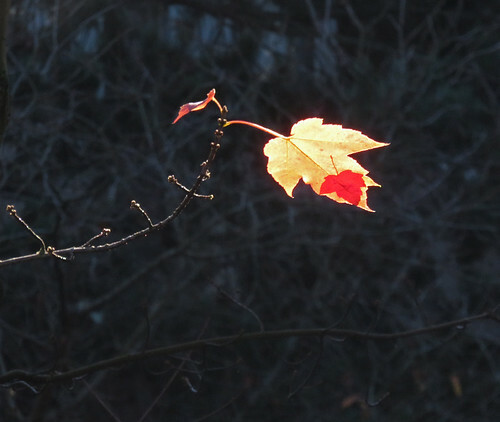 The last two (or three) leaves on the maple tree outside my window. It was probably the last sun of the season; as I write this the tree is completely bare and it’s pouring out! 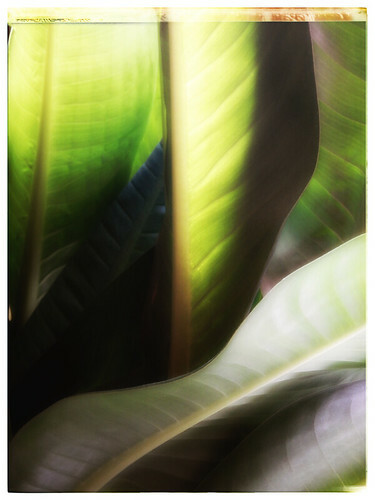 More of Ryan Photography’s Photo for the Week: Leaves.